Up for sale panzerfaust 30 big , zunder mechanics part - fpz 8001. 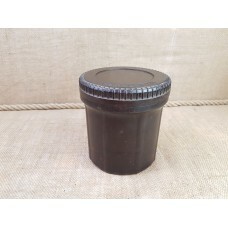 Nice ground dug found condit..
Up for sale original empty container from Nb.W 40 ammo. Nice barn found condition, oiled inside..
Up for sale original shell casing from 10.5cm LG 40. 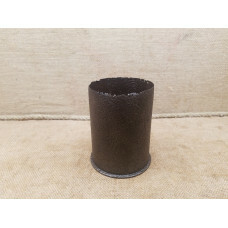 Leichgeschutz 40 were specially designed a..
Up for sale original cardboard cartridge from German 150 mm Nebelwerfer rocket. 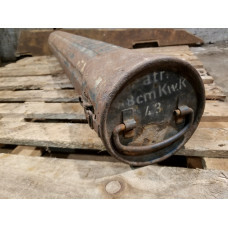 Total empty, in..
Up for sale ultra rare collectable piece - original wood launch frame for large nebelwerfers.Model W..
Up for sale original shell casing from Russain T-34 tank flamethrower.The FT-34 ( Flame Tank 34 ) by..
Up for sale original spacer from kwk 40 ammo steel container. 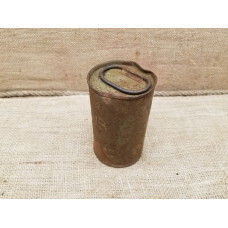 Those type of spacers will suit a..
Up for sale original can for German WWII 8,8 cm KWK 43 ammo. 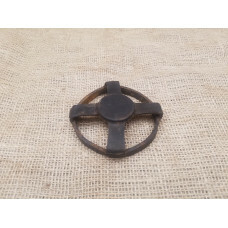 KWK 43 - maingun which were used o..
Up for sale original WWII primer safety cover for 8.8 cm SK C/35 ammo. 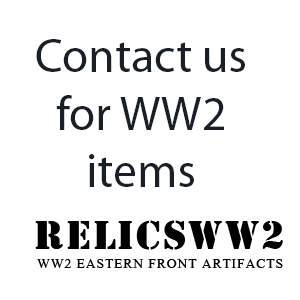 Powerful naval gun which..
Up for sale bakelite container for flash reducing powder for 15 cm howitzer M1913.Container used to ..